NASA's Orion's Pad Abort-1 Test Vehicle. From left to right are the abort motor, the jettison motor and the interstage section not yet attached. 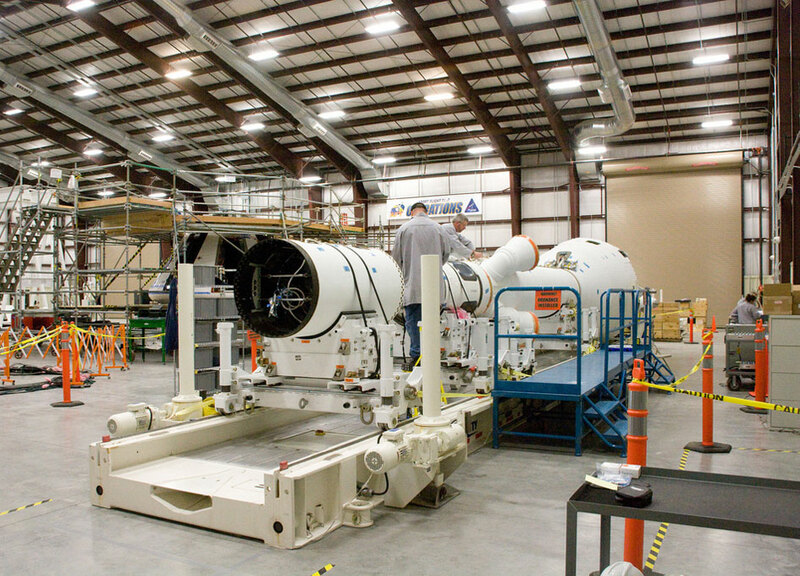 In addition to the attitude control motor (not pictured), these motors will be used for the first Orion test of the launch abort system, PA-1. 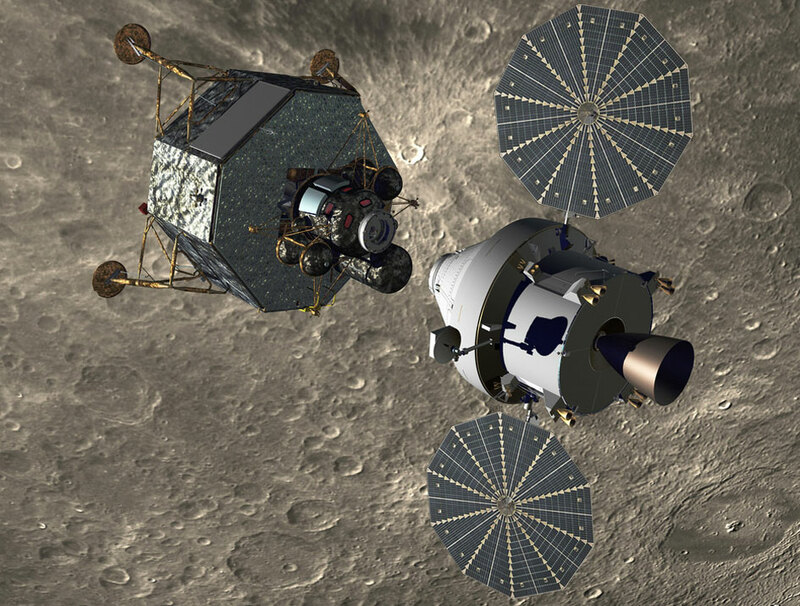 An artist's rendering showing the Altair lunar lander in lunar orbit on its way for a descent to the lunar surface after separating from the Orion crew exploration vehicle. Photo credit: Lockheed Martin. 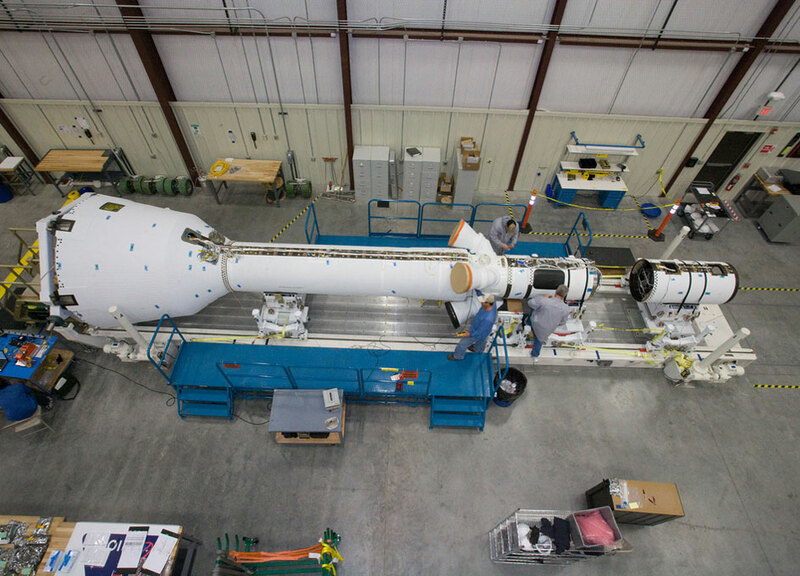 From left to right are the adapter cone assembly that attaches to the crew module (not shown), the abort motor, the jettison motor and the interstage section not yet attached. In addition to the attitude control motor (not pictured), these motors will be used for the first Orion test of the launch abort system, PA-1. Photo credit: U.S. Army White Sands Missile Range. 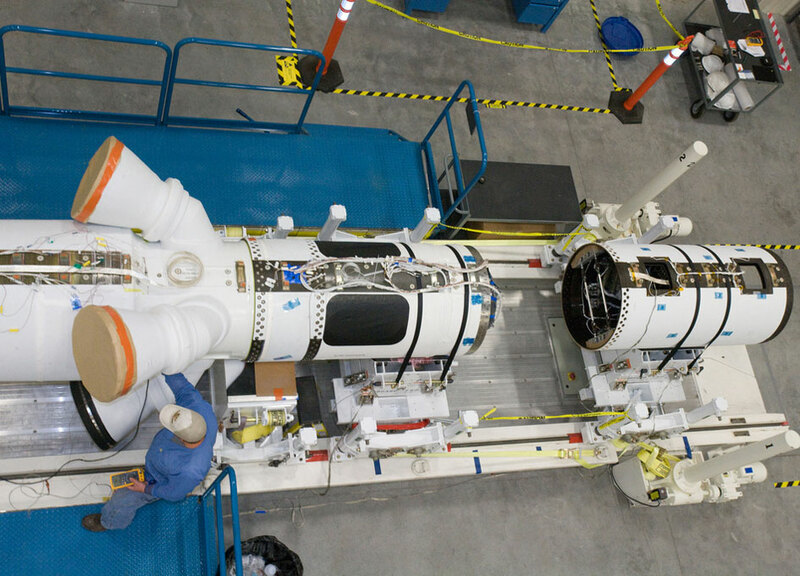 At the U.S. Army's White Sands Missile Range in New Mexico, a portion of Orion's Pad Abort-1 (PA-1) test vehicle is shown from above in the Final Integration and Test Facility during preparations for the flight test.